If in the San Francisco Bay Area, please stop by the retail store. 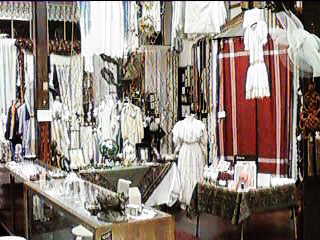 Our retail store carries all of the items listed in our Online Catalog as well as many one of a kind items, and antiques. 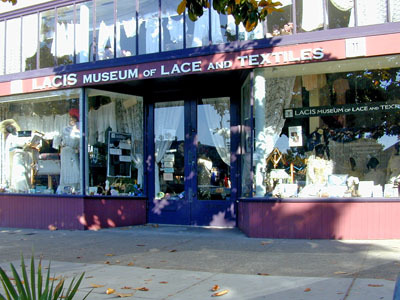 We also carry a wide variety of new and antique lace, vintage clothing, vintage wedding dresses, hats, ribbon, beads and much, much more. Note: Store is across the street from the Ashby BART station on the corner of Ashby and Adeline. If coming by car, exit 80 freeway at Ashby exit and head toward the hills for 1.7 miles till you reach Adeline, a divided boulevard. Turn left, go one block and make a U-turn around divider, returning to Ashby Ave. for parking in front of the store.